Rowan’s CEE Engineering program is designed to produce future leaders who demonstrate technical competence and are major contributors for the development of a sustainable world. We are all about TLC (Teamwork Leadership Community) at CEE. Our curriculum focuses on hands on multidisciplinary team experiences in various specialization areas of civil engineering to prepare students for the demands of the global job market. diverse scholarly and creative educational experiences, pathways, environments, and services to meet the needs of all students; maintaining agility by strategically delivering organizational capacity across the institution; and responding to emerging demands and opportunities regionally and nationally. Click here for a printable pdf including the Strategic Pillars, Institutional Goals, Operational Values, and Strategic Domains. This mission statement was approved on June 14, 2017 by the Rowan University Board of Trustees. For information on the development process, please visit the Mission Statement Development webpage. The mission of the Henry M. Rowan College of Engineering is to provide programs that are effectively responsive to regional aspirations and that address the needs and the changing characteristics of the leading-edge engineers of the future. The College aims to educate students prepared to apply technology for the betterment of society and to serve as global change agents for the future. Rowan University also recognizes that the Henry M. Rowan College of Engineering will aid in the economic and cultural development of southern New Jersey, while generating opportunities for its diverse graduates in local, national and international industries. This mission statement was approved in May 2017. Develop communication skills so that they can perform engineering functions effectively. Graduates have a broad base of knowledge, are aware of emerging trends in their field, and understand the interrelationships between sub-disciplines that affect engineering projects. Graduates are creative problem-solvers who consider technical, social, political, environmental and economic issues in developing realistic engineering solutions based on effective data collection and analysis. Graduates conduct their professional lives in a manner that reflects positively on themselves, their employer and their alma mater and recognize the ethical, global, and social responsibility of their profession. Graduates have the technical, communication and interpersonal skills to assume increasing responsibility and leadership roles within a diverse and multidisciplinary workplace. Students will have the ability to apply knowledge of mathematics through differential equations, calculus-based physics, chemistry, at least one additional area of basic science, and engineering science. Students will recognize the need for and demonstrate the ability to engage in lifelong learning. Students will demonstrate the ability to use techniques, skills, and modern engineering tools necessary for engineering practice. Students will have the ability to apply knowledge of four (4) technical areas appropriate to civil engineering. Students will demonstrate the ability to design and conduct experiments as well as analyze and interpret data. 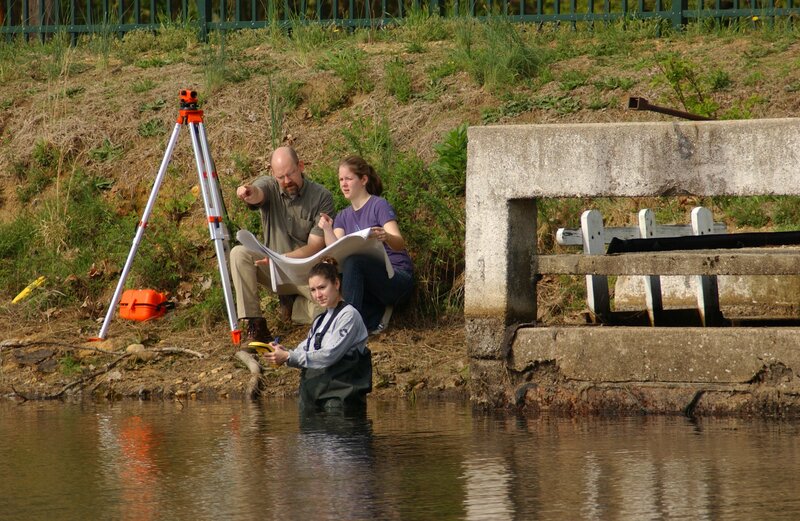 Students will demonstrate the ability to conduct civil engineering experiments and analyze and interpret the resulting data. Students will demonstrate the ability to design a system, component, or process to meet desired needs within realistic constraints such as economic, environmental, social, political, ethical, health and safety, manufacturability, and sustainability, and in more than one civil engineering context. Students will demonstrate the ability to identify, formulate, and solve engineering problems. Students will demonstrate an understanding of professional and ethical responsibilities. Students will have the broad education necessary to understand the impact of engineering solutions in a global, economic, environmental, and societal context and have knowledge of contemporary issues. Students will explain basic concepts in management, business, public policy, leadership, and explain the importance of professional licensure. Students will demonstrate the ability to communicate effectively in written documents. Students will demonstrate the ability to communicate effectively in oral presentations. Students will demonstrate the ability to function on multidisciplinary teams.